Welcome to the first Indie Gem of 2019! I’m kicking off the new year with someone who deserves much more attention than we’ve given her so far on Seoulbeats: singer-songwriter and K-pop Star runner-up, Lee Jin-ah. While she’s no newcomer to the scene, having debuted in 2013, she is most known for her appearance in the fourth season of K-pop Star, where she charmed the judges and audiences at home with her sweet, high-pitched voice, deft piano-playing and impressive songwriting talent. Previously, she had released an album, Unvisible, but it had received almost no attention, reportedly selling only fifty copies. After appearing on K-Pop Star and making it to the late stages of the competition, however, she was able to sign with Antenna Music, the label owned by musician and TV host, Yoo Hee-yeol. After several years and a few intermittent singles, including the SM Station collaboration, “Starry Night” with SHINee’s Onew, she returned in 2017 with a new album, Random. I discovered her after watching a reaction video to her title track, “Random”, and was instantly intrigued by her unusual voice and sound. While the vocals and melody seem cute and innocent, the complexity and craftsmanship in the instrumental make it an extremely interesting and re-listenable song. Lee Jin-ah’s musicality shines through on her fast, jazzy piano-playing, especially on her solos, but her accompanying band easily keep up with her. Throughout the song, Lee Jin-ah deviates from the pop choruses with twists and turns of strange, dissonant notes, but somehow it all comes together to form a cohesive and enjoyable song. “Stairs”, from the same album, follows a similar formula, with an ominous, rumbling intro that blooms suddenly into bright, soaring major chords, over which she then sings in her signature style. It’s worth mentioning the unique quality of her voice; while I’m usually averse to overly cutesy, high-pitched vocals, Lee Jin-ah balances her naturally childlike voice with soft, huskier tones, clear diction and a good amount of mature emotions in her singing. Paired with the darker, more sophisticated undertones in her lyrics and composition, it creates a really nice contrast that makes her songs enjoyable to listen to over and over again. Overall, though, the majority of her songs are happy, hopeful and bright, making them perfect for mornings or afternoons spent picnicking in the sunshine. 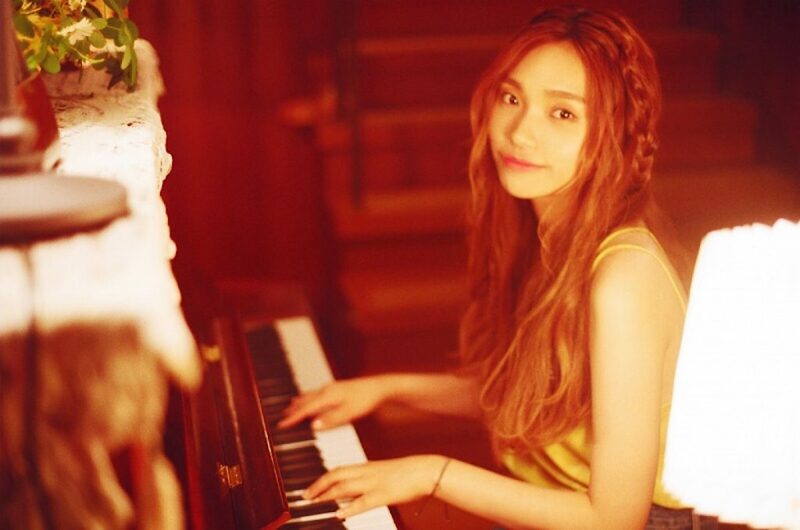 She’s also great at creating sleepier ballads and lullabies, perfect for bedtime listening, such as “Nothing Special”, the aforementioned “Starry Night” with Onew and the wistful “What Should I Do”. The latter’s stronger jazz influences and mature tone make it one of my personal favourites, along with the more boisterous “Random” and “Stairs”. Finally, Lee Jin-ah’s recent collaboration with Gray, “Run”, is one of the most interesting and different songs I’ve heard in her discography so far. I admit I was surprised when I found out about their collaboration, though I was also intrigued; the two musicians have extremely different styles and target audiences, which I can’t imagine overlap very much. Despite a relatively sparse discography, Lee Jin-ah’s future looks bright, especially with her recent activeness and high-profile collaboration. I love the purity, lightness and organic feel of her songs, and the great balance she manages to achieve between both catchy pop melodies and grooving jazz instrumentals, and sweet vocals and dark musical undertones. She’s managed to achieve a very unique and authentic musical identity, which puts her in good stead for a long and successful career as a musician. She’s also recently announced that she is going to be married to the pianist Shin Sung-jin – congratulations to the couple from us here at Seoulbeats!